Monday September 17, 2012 @ 7:00 pm. Seminar will be on Mercury Dimes. "The Mercury dime is a ten-cent coin struck by the United States Mint from 1916 to 1945. Designed by Adolph Weinman and sometimes referred to as the Winged Liberty dime, it gained its common name as the obverse depiction of a young Liberty, identifiable by her winged Phrygian cap, was confused with the Roman god Mercury. Weinman is believed to have used Elsie Stevens, the wife of lawyer and poet Wallace Stevens, as a model. 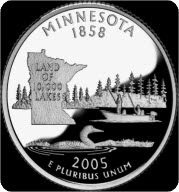 The coin's reverse depicts a fasces, symbolizing unity and strength, and an olive branch, signifying peace." This information and more could be obtained from: http://en.wikipedia.org/wiki/Mercury_dime where this quote of information was obtained fort wit. To find the more desirable coins a person would need to know the KEY DATES. Could be part of the of the discussion on Mercury Dimes. Do your home work and bring your questions with you! See you all Monday. 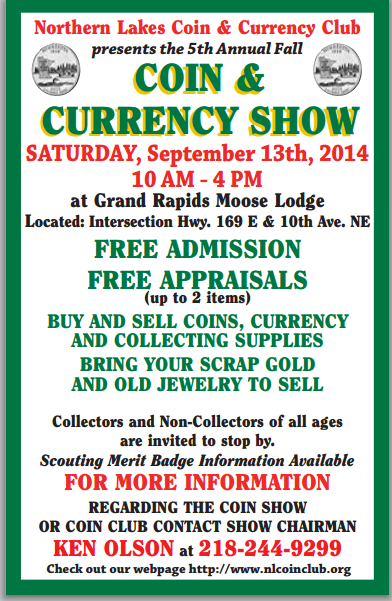 Don't forget to attend the 3rd Annual Fall Coin Club Show at the Moose Lodge in Grand Rapids. Congratulations are in order for Robert! He is the winner of the 2012 Silver Eagle. He wasn't at our last meeting, but he is welcome to come to Papa's Coins to pick up his prize. Order will be placed at 3:00 pm Tuesday July 3rd, 2012, so don't delay. The price will be $151.00 per set. That will include shipping. You can come to my shop to place your order & make payment. Also, for club members, I am sponsoring a "Guess the number of orders contest" for the total number of sets ordered from the mint. One guess per member. Those guesses must be in by midnight 6-29-12. Call me with your guess @ 25-MONEY. The current number of orders as of 6-29-12 is about 170,000. The prize for the best guess is a 2012 1oz Silver Eagle. 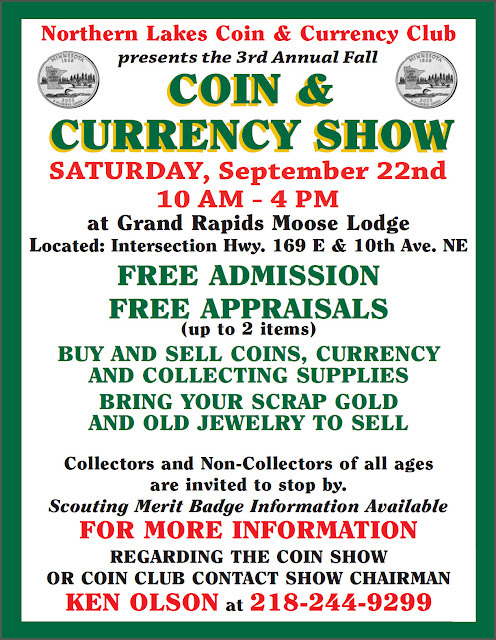 BUY AND SELL COINS, CURRENCY AND COLLECTING SUPPLIES. AND OLD JEWELRY TO SELL. 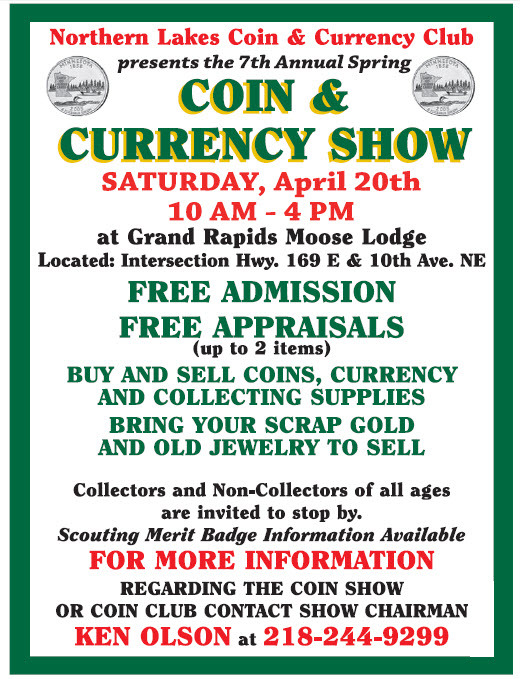 are invited to stop by. Scouting Merit Badge Information Available. There is a map locator below for directions. Just click on the address for map.